Anyone else out there already dreaming of summer days spent by the pool? 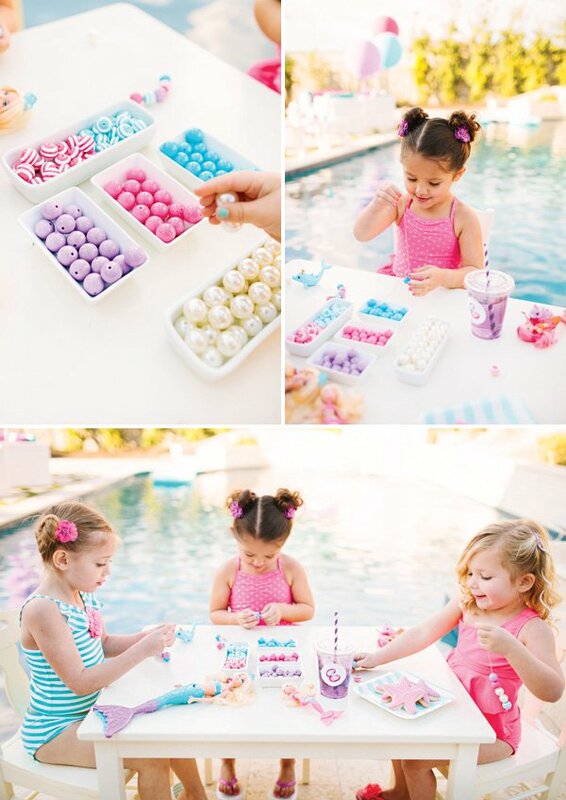 Well, this adorable Pearl Princess Barbie Pool Party from Kim Stoegbauer of The TomKat Studio is full of great inspiration to start planning those summer play dates and birthday pool parties now! 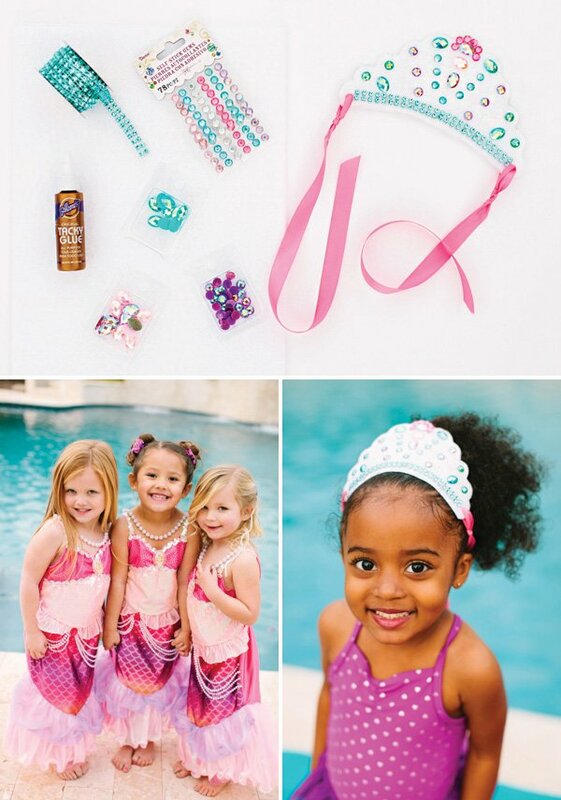 Inspired by the new movie, Barbie™ The Princess Pearl, Kim incorporated lots of cute under the sea details & “pearl princess” inspired activities. 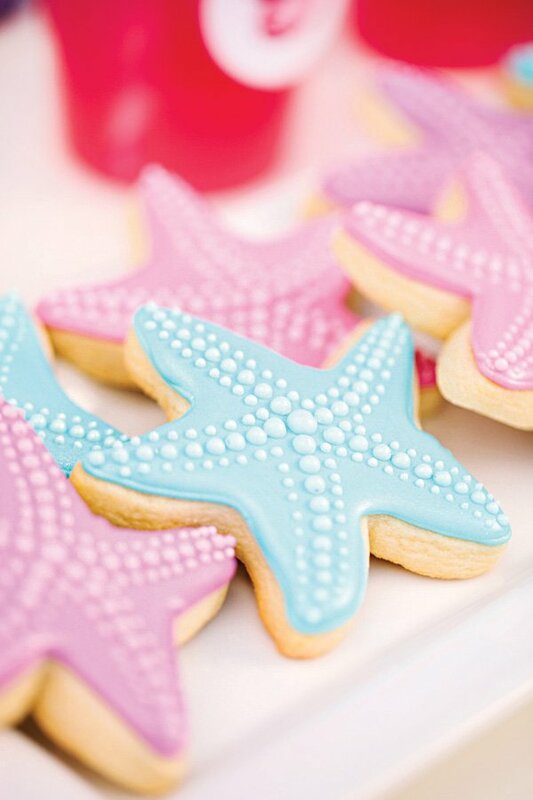 I especially love the clam shell cookies & sparkly princess crown decorating! P.S. 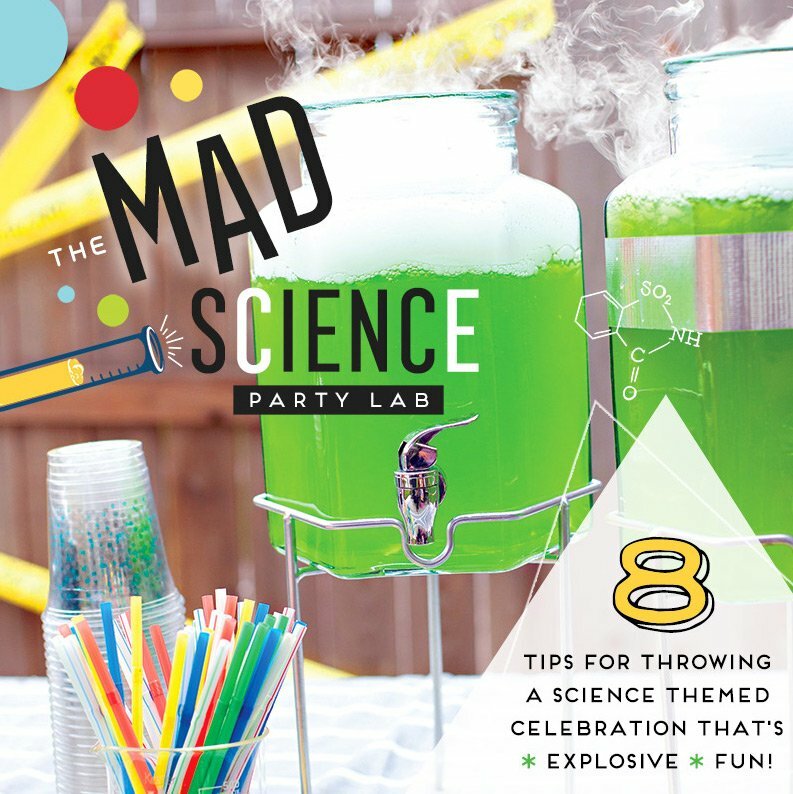 Make sure to check out Kim’s post here, where you can download all of the free printable designs featured in this party! 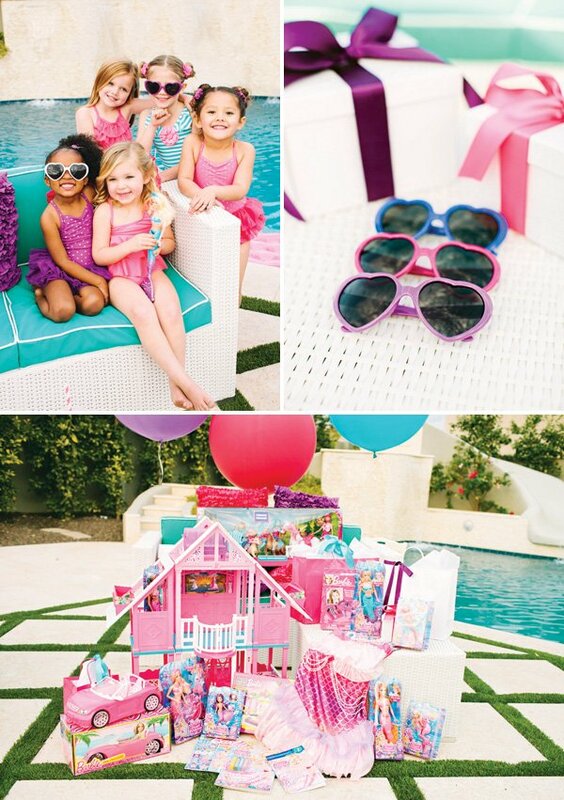 Coordinating pink, teal & purple everything: beach towels, sunglasses, sweets… even the bathing suits! 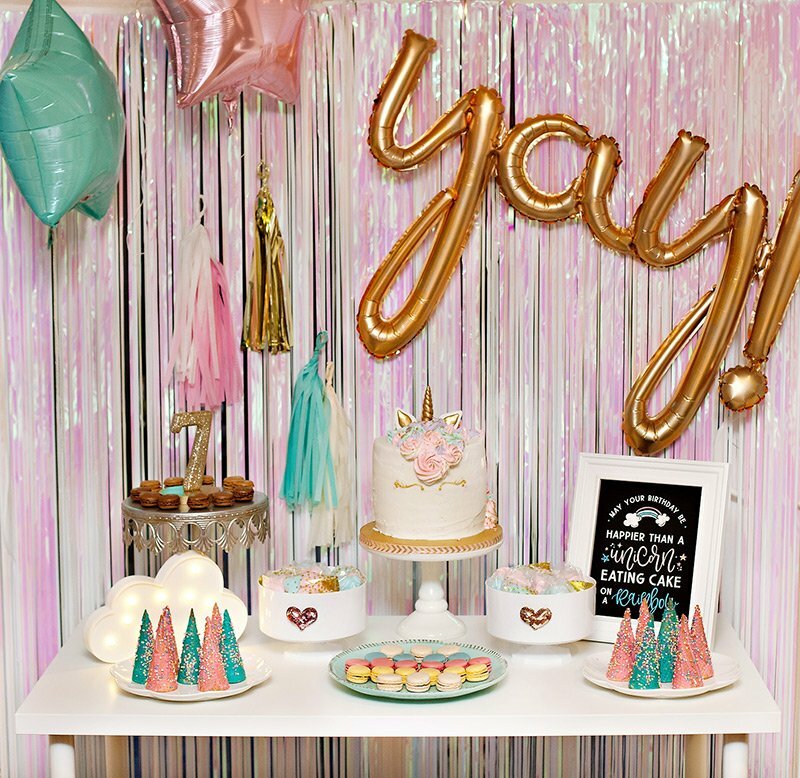 We recently styled this Barbie™ themed party for Toys “R” US and we are so excited to share it with you today. 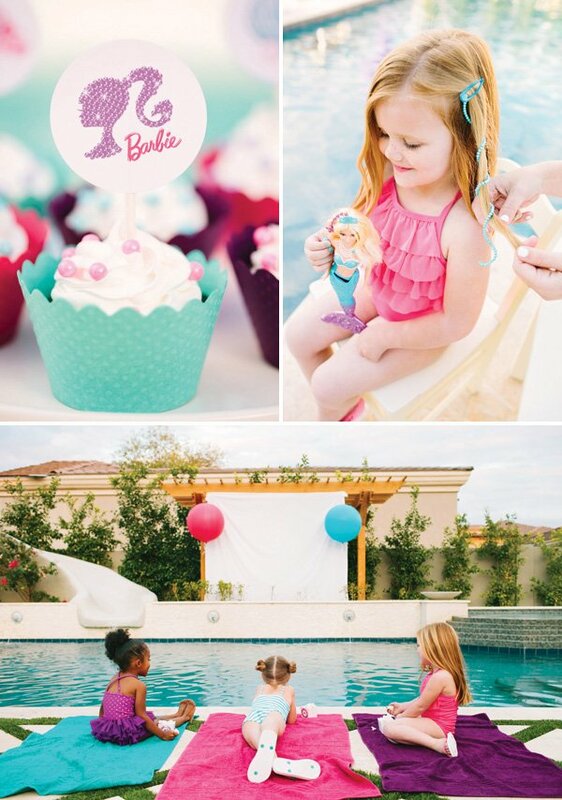 This party is inspired by the new movie, Barbie™ The Pearl Princess. In the movie, Barbie™ stars as Lumina™, a mermaid who dreams of being a princess. As long as she can remember, she’s had a magical power that makes pearls dance and glow! Lumina™, and her best friend Kuda, a pink seahorse, embark on an adventure to a majestic mer-kingdom. There, she uses her powers to help her friends prepare for the Royal Ball. Lumina™ then discovers that her magical pearls are the key to unlocking her true destiny and ultimately saving the kingdom. Barbie™ The Pearl Princess takes place entirely underwater, so what better idea than to host the celebration outdoors for a pool party! Little girls will love this pink, purple and aqua color palette inspired by the colors used most throughout the movie. 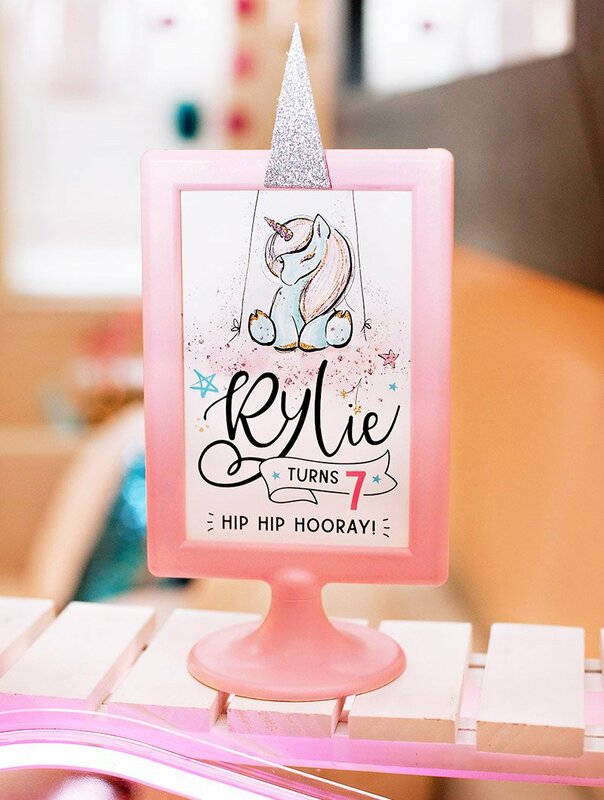 We designed a collection of free printable Barbie™ The Pearl Princess party designs, including an invitation, cupcake toppers, favor tags, food labels and a happy birthday banner for you to download! You can even add your own text before printing. 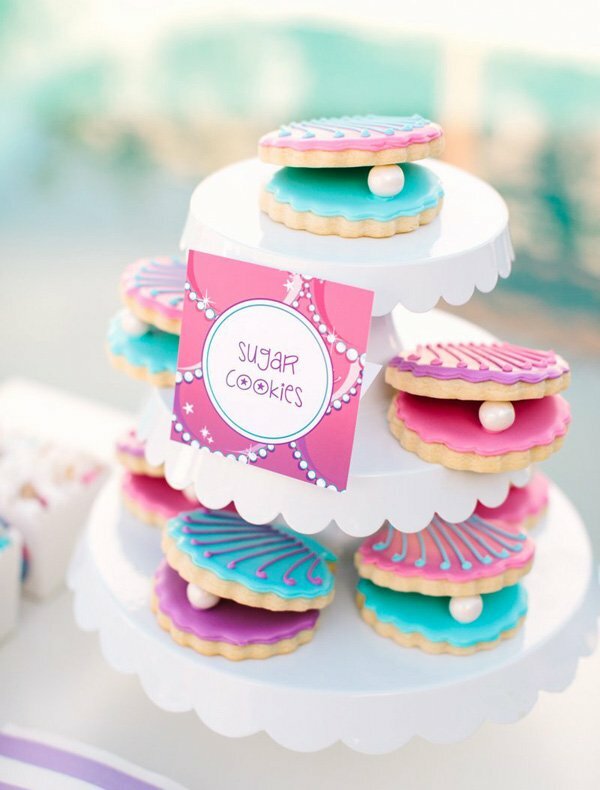 Sweet treats like clam shell and starfish cookies, embellished cupcakes, white chocolate popcorn and punch are perfect ideas for this poolside birthday party. 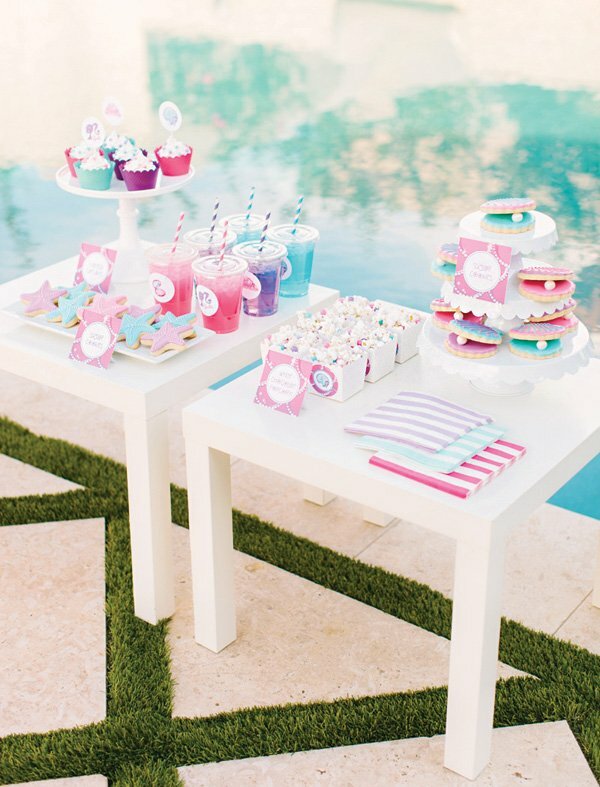 A great idea for this poolside party is to prepare boxed lunches before the event starts. 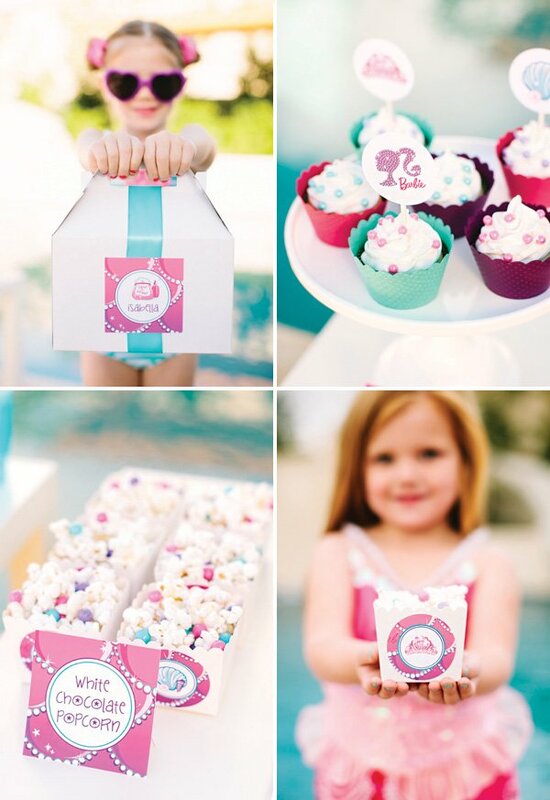 Add ribbon and customized name tags to the lunch boxes for each party guest. The girls will love seeing their names on the boxes! 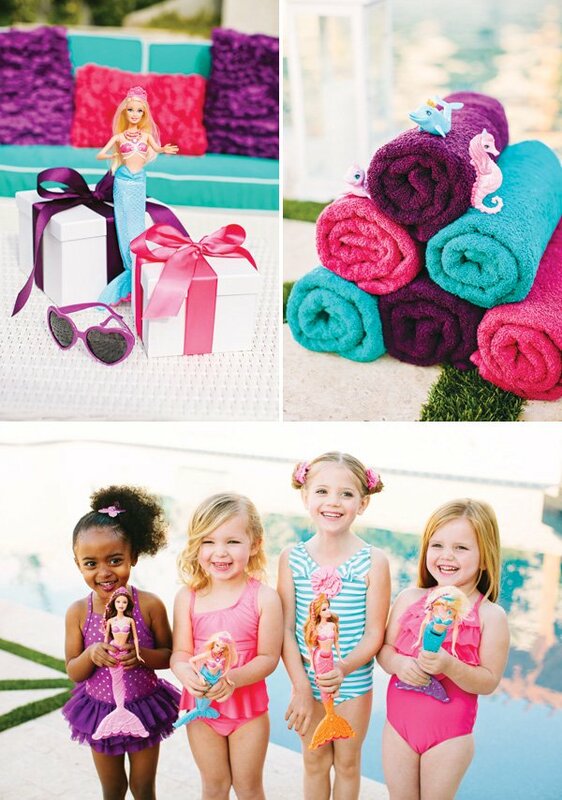 The girls loved playing with the new Pearl Princess Barbie™ dolls from during the party and thought Lumina™ and her mermaid friends were so adorable. Just like the characters in the movie, the guests can get dolled up during the party. Easily make the pearl strand clips shown before the party by stringing on wire and attaching to a hair clip. 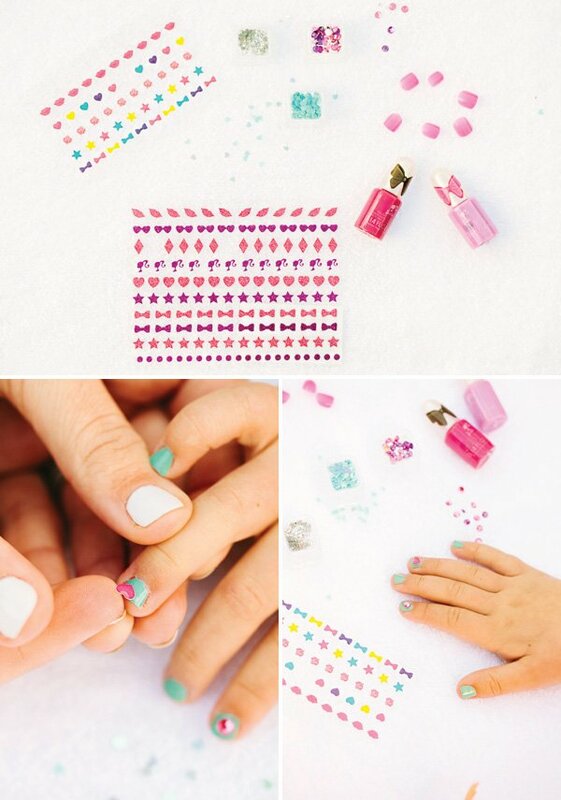 Speaking of dolled up, we had an adult do the girls’ nails using an adorable Barbie™ Nail Art Kit. Since the girls love to play dress-up, we let them take turns trying on Lumina’s™ Pearl Princess Dress. So darling! To keep the girls busy, we also set up a bracelet making station. We set out bowls of various colors of “pearls” and helped them string the beads onto ribbon or twine. The bracelets make a cute keepsake that they can wear out and about. 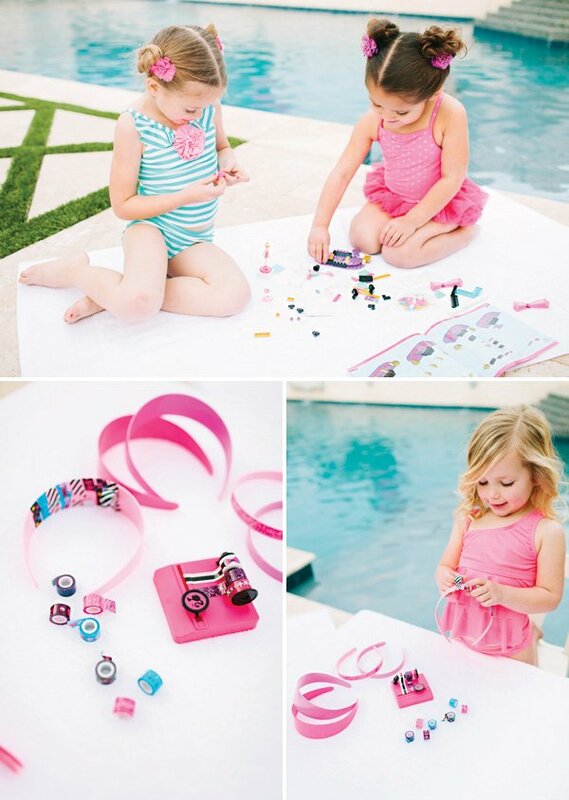 Another fun activity was a Barbie™ Tapeffiti Headband Kit. Washi tape is so popular right now for crafts and this kit comes with everything you need to make seven headbands! If you time the party right, you can also set up a showing of the Barbie™ The Pearl Princess movie in the backyard once it gets dark! 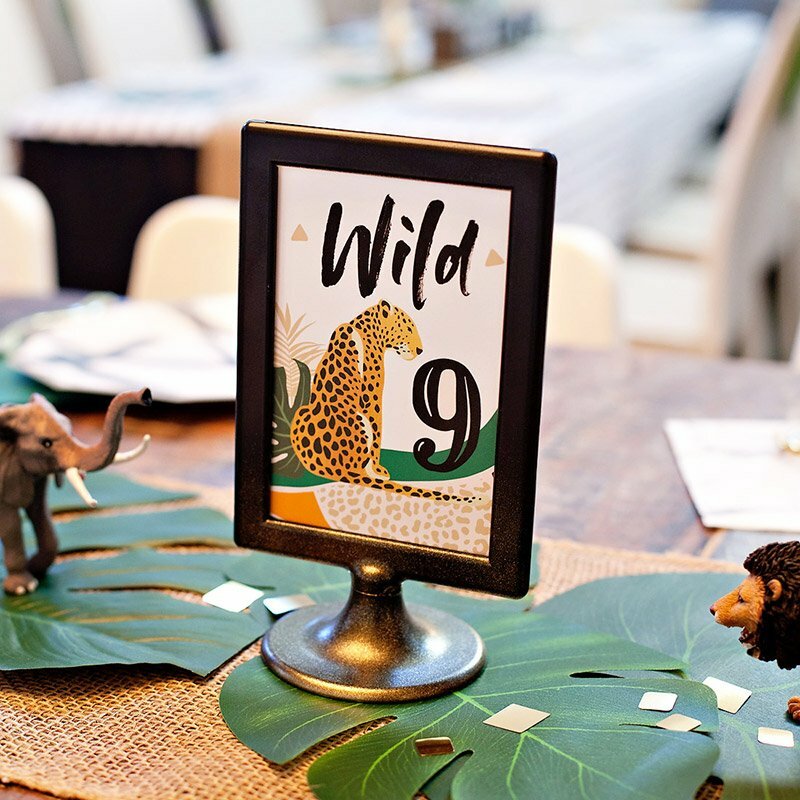 Movie-themed Coloring Books and Step into Reading Books were the perfect party favors! 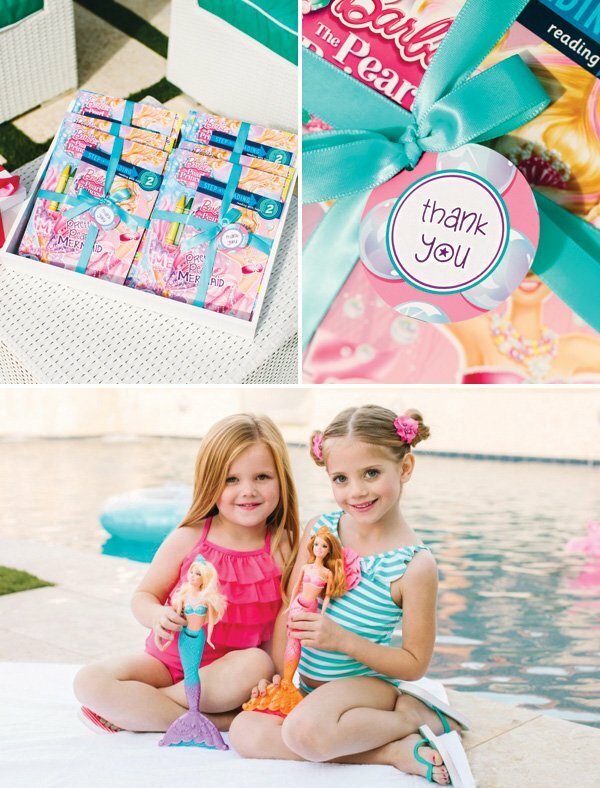 Tie with ribbon and add a printable “thank you” tag! 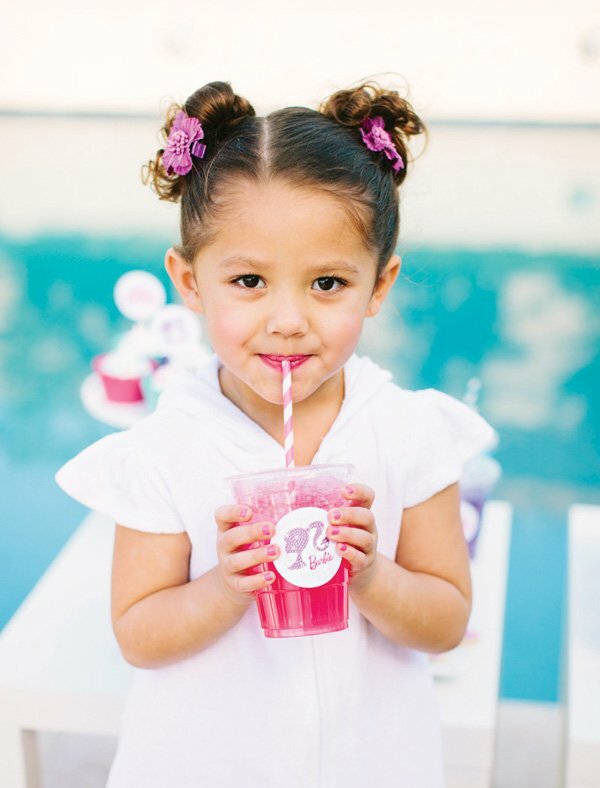 A big thank you to our adorable models and vendors that worked with us to create this party! Amazing party! Love the color scheme. Photos are fantastic! 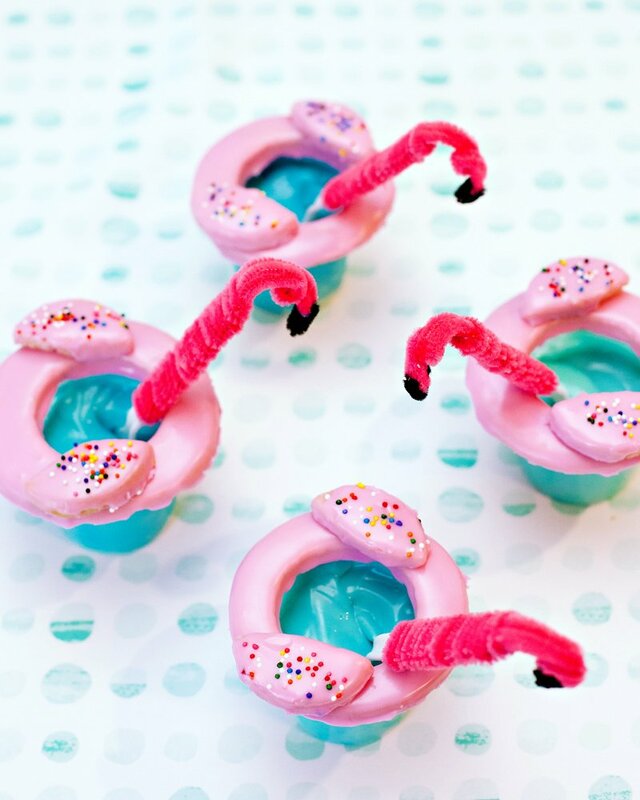 I would surely host this one and it is very mermaid-fun-tastic.